While the United States looms ever closer to economic disaster, House Republicans are strategically crafting an appropriations bill to slash environmental regulations and reduce the power of the Environmental Protection Agency (EPA). It seems they are using the present debt ceiling crisis to force the White House to repeal important environmental policies such as pollution control and conservation efforts. If implemented, the Republicans’ proposed legislation will bring about the largest environmental budget cuts in 25 years. Included in the cuts would be a 7 percent reduction in the Department of the Interior’s budget and a massive 18 percent cut to the EPA. 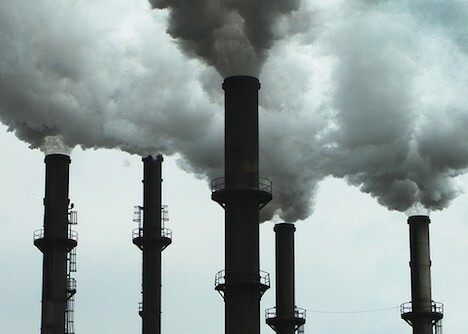 The bill attacks the EPA, containing 38 riders which specifically defund the agency’s rulemaking on mercury, coal ash, and other toxic environmental pollutants. Also affected would be the EPA policies on CO2, conservation efforts in the Grand Canyon, and regulations on mountaintop mining. As can be expected, Democrats flocked to the house floor to protest the underhanded attempts by the Republicans in using the economic crisis to attack environmental regulations. Clearly the US political climate has reached a boiling point, with both sides engaging in various levels of brinkmanship to push their demands. In this case, Republicans are pushing to repeal environmental regulations to strengthen the power of special interests and oil companies. But by doing so, they are further entrenching the United States in an unsustainable trajectory of development. The US is going to get left behind in the global economy if both sides of the House can’t work together on crafting effective and innovative new policies. First they need to come up with a plan to fix their debt crisis. But at the same time they should be implementing the necessary legislation to push the US economy into the 21st century: an economy based on renewable energy, green technology, and sustainable development. Not only will this alleviate environmental destruction, but it will create jobs, generate investments, and stimulate economic growth, so that a crisis like this can be avoided in the future. Image CC licensed by Monica McGivem.